It started with one man who wanted to combat the need in the world around him. Almost 30 years later, the organization he founded has delivered $343 million in humanitarian aid to 68 countries and deployed almost 6,500 volunteers in relief efforts. 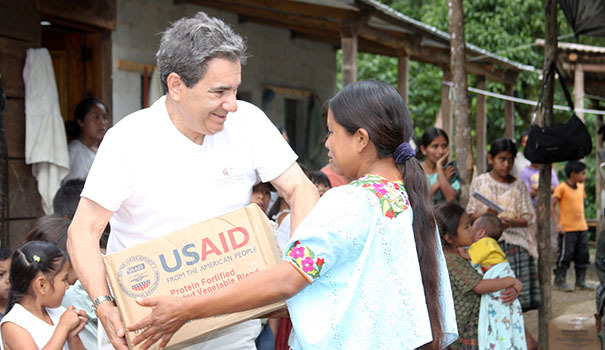 “We just try to do what’s right,” said International Relief Teams founder and executive director Barry La Forgia. International Relief Teams (IRT) is based out of a small office in Grantville but works with partner organizations in Turkey, Vietnam, Mexico, Nepal, Guatemala, Ecuador, Honduras, Kenya, and Niger – and that was just this fiscal year. The organization’s assistance ranges from backpacks of food given to kids in San Diego, to eyeglasses and vision screening in Guatemala, to houses for earthquake victims in Haiti, to providing education for orphaned children in Mexico. “We ask where can we make the greatest impact; where can we meet the need,” La Forgia said. That means that the response to a disastrous situation is specific to each locale. After Superstorm Sandy in New Jersey, teams of skilled construction workers were sent out to help rebuild homes. 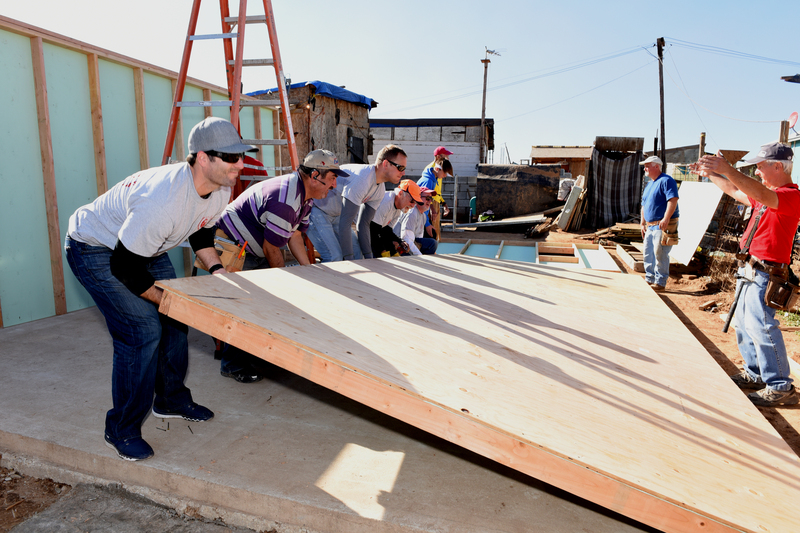 After an earthquake hit Peru, IRT deployed a training team to teach laborers already in the region how to build homes. After Hurricane Matthew in Haiti, the area IRT was working with had the trained labor they needed, but what they were lacking was medicine. So IRT worked with an organization in Atlanta, that has a relationship with pharmaceutical companies on the East Coast, to get the medicine Haiti needed. “We want to know where can we add value,” La Forgia explained. For the last 13 years, IRT has received a 4-star rating through the Charity Navigator — the only nonprofit in San Diego to do so. Their funding comes 5 percent through government grants and the rest through private foundations, individuals, and in-kind donations. La Forgia takes pride in the fact that 98 percent of IRT’s $37.3 million revenue goes directly back into their programs. He also gives kudos to his “exceptional” staff of seven and the volunteer base that works with IRT. “Volunteers are the ones that do the work,” he laughs. In many situations, IRT partners with local relief agencies – groups already working “boots on the ground” so to speak. La Forgia emphasized that the point is not to get IRT’s name noticed. The point is to meet the greatest need with the resources they have. Local hospital staff in the region then informed IRT that they had access to supplies, but what they were really lacking was medical training. IRT tracked down textbooks in the subjects needed, translated and published them, and then trained physicians and nurses in that country to train others. Or rather, IRT worked as a network to put all the experts where their skills were needed. That began in the early ’90s. Since then, IRT has helped in similar areas in Lithuania, Romania and currently in Vietnam. In Vietnam, they’ve trained 270 instructors who then have trained 5,000 medical colleagues. 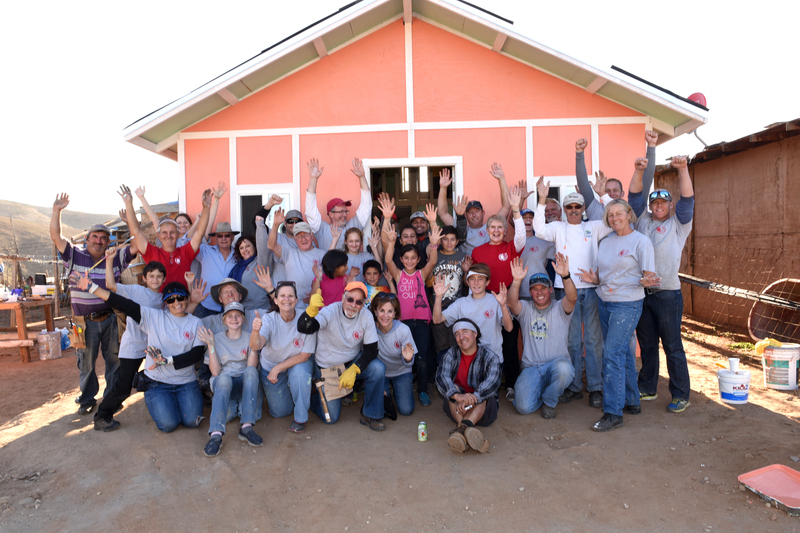 IRT volunteers celebrate after building a home for an impoverished family in Tijuana. Volunteers build homes in this community in just one day for impoverished families with children. La Forgia said one of the greatest struggles IRT faces is indifference. People that aren’t against their mission, just not willing to dig in and do the hard work the project requires. The willingness to not just talk but act is what got IRT rolling in the first place. In 1986, La Forgia, a lawyer and Vietnam veteran, went on a mission trip deep in the Amazon jungle. “I was impressed with how much need there was out there,” he said. La Forgia came back to the States and knew he wanted to help, but not sure how. He wrote to 50 different organizations (this was before the days of email), and one guy picked up the phone and called him back. That gentleman was with Northwest Medical Teams, now called Medical Teams International. La Forgia went with him on a trip to Mexico, where a team was building a medical clinic for people who lived in the garbage dumps (they made a living by rooting through the trash and selling what they could) in one site, and bringing crops to a starving rural area in another site. And that was it. La Forgia knew he “wanted to be a part of something bigger.” He came back to San Diego and founded IRT in 1988. Two years later, he left his law practice and committed full time to the organization. And once the Rwandan refugee crisis hit in the mid-’90s, IRT became a well-known and respected name in the humanitarian world. Sometimes people ask La Forgia if he misses the life he gave up to direct IRT. To people trying to “find themselves” and discover their purpose? La Forgia says it isn’t about looking inside of yourself, it’s about reaching out to help those around you. “Don’t go inward, go outward,” he said. buy now So how can you help? First, get on their volunteer list! When a disaster hits, the staff at IRT starts working their way through their volunteer database to see who has the skills needed and the time to go where IRT sends them. Second, donations are gratefully accepted through sponsorships, monetary and in-kind donations. Learn more at irteams.org or call 619-284-7979. Third, you can share the word and show support through International Relief Teams on Facebook and Twitter. —Freelance writer Joyell Nevins can be reached at joyell@gmail.com. You can also follow her blog Small World, Big God at swblog.wordpress.com. Weight-loss belly balloon: Is it right for you?